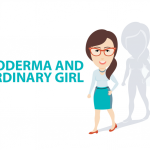 Scleroderma is a chronic and progressive autoimmune disease, marked by a characteristic hardening of the skin. In scleroderma, the immune system starts attacking and damaging connective tissue, an essential component of the skin and many organs. This triggers chronic inflammation, leading to an over-production of collagen, a protein, that builds up and causes scar tissue to form also known as fibrosis. While no cure exists, treatments can help patients manage their condition and research is ongoing to identify new therapies. Some examples are discussed below. Several investigative therapies target the immune response in scleroderma. By preventing the activation of the immune system, these treatments aim to stop or reduce excessive production of collagen. 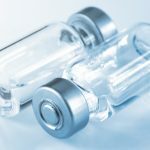 Intravenous immunoglobulin (IVIG) therapies — such as Privigen, developed by CSL Behring — involve frequently administering an infusion of immune proteins purified from healthy individuals. IVIG is already used to treat a range of immune-related conditions and may have both immunomodulatory and anti-fibrotic effects in scleroderma. A clinical trial (NCT01785056) in 14 scleroderma patients was completed in January 2018. The trial aimed to assess the safety and efficacy of IVIG, compared to a placebo, over six months of treatment. Results have not yet been announced. Alemtuzumab is an approved treatment for certain cancers (under the brand name Campath) and multiple sclerosis (marketed as Lemtrada) that is also being investigated to treat systemic scleroderma. It acts by binding to and triggering the destruction of immune cells, which may reduce the damage caused by the immune system in scleroderma. A small pilot trial (NCT01639573) is currently recruiting up to three children with drug-resistant systemic scleroderma at Children’s Hospital, Los Angeles, to assess the treatment’s safety and efficacy. Stem cell therapy is also being investigated as an option to prevent the mistaken activation of the immune system or to repair the damage caused by that system. For example, the Fred Hutchinson Cancer Research Center is investigating whether stem cell transplants can help “rebuild” the immune system to prevent it from attacking healthy tissues. The safety and potential effectiveness of a stem cell therapy approach is being investigated in a Phase 2 clinical trial (NCT01413100), which is currently recruiting up to 30 patients with systemic scleroderma in the U.S. and Canada. Enrolled patients will be followed for up to five years. Inflammation caused by the immune system targeting tissues can cause damage, triggering the wound response that causes fibrosis. Therapies are being developed to directly target the inflammatory response. Lenabasum (JBT-101), being developed by Corbus Pharmaceuticals, aims to reduce inflammation without disabling the immune system, so not to leave the patient prone to infections. Lenabasum acts by mimicking naturally produced substances that normally turn off the inflammatory response once the immune threat has passed. Two clinical trials for lenabasum in scleroderma are currently active: a Phase 2 clinical trial (NCT02465437) that is ongoing but not recruiting, and a Phase 3 clinical trial (NCT03398837) now recruiting up to 354 patients at multiple sites in the U.S.
Anti-fibrotic therapies act to reduce the level of fibrosis, or scarring, without affecting the immune response. FCX-013 is being developed by Fibrocell in collaboration with Intrexon. It is cell-based therapy that involves harvesting the patient’s own fibroblasts (a type of cell that produces collagen), and genetically modifying them in the laboratory to produce a protein that breaks down collagen. It is hoped that, when re-administered to the patient, these cells will act to help regulate collagen levels and reduce fibrosis. In March 2018, Fibrocell announced that the U.S. Food and Drug Administration (FDA) has approved its investigational new drug application for FCX-013. 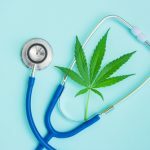 The company intends to begin clinical trials in humans in the third quarter of 2018. Lanifibranor, being developed by Inventiva, is an investigational therapy that works to block fibrosis. It activates a protein called PPAR (peroxisome proliferator-activated receptor), which acts as a natural negative-regulator for fibrosis. 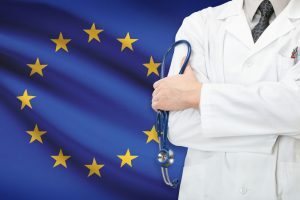 A Phase 2 proof-of-concept trial (NCT02503644), called FASST, in patients with systemic scleroderma is currently ongoing at multiple sites in Europe. Rilonacept, developed by Regeneron, is being investigated in scleroderma. It is approved under the trade name Arcalyst to treat several other conditions, like cryopyrin-associated periodic syndromes (CAPS). A Phase 1/2 clinical trial (NCT01538719), testing rilonacept against a placebo in 21 systemic scleroderma patients was recently completed but results have not yet been announced. Other anti-fibrotic therapies under investigation include Sanofi’s SAR100842, Genentech’s tocilizumab, and Bristol-Myers Squibb’s abatacept. 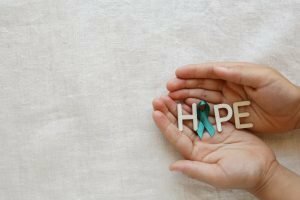 A number of therapies in clinical trials aim to manage the common symptoms of scleroderma, in order to provide patients a better quality of life. One example is diltiazem gel for the treatment of digital ulcers. Prism Pharmaceuticals investigated the safety of topically applying PRI-724 (also known as C-82), a beta-catenin inhibitor that may be able to reverse fibrosis, in a Phase 1/2 trial (NCT02349009). Results, published in the Journal of Investigative Dermatology, showed that the treatment may have the potential to improve affected areas of skin in scleroderma patients, but a longer treatment period may be necessary for better results.